Hostal Ole in Madrid, Spain. 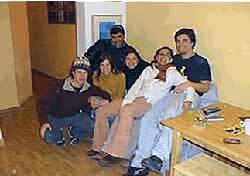 Ole Hostel is a comfortable and secure place located in the centre of Madrid, in the Malasana district, famous for its cafes, restaurants and nightlife. Also near to Fuencarral Market for the daily street market of alternative clothes and the major tourist attractions. 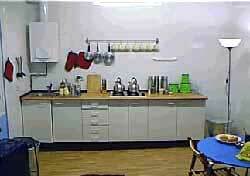 The hostel has bright shared dormitories with stylish decoration and a shared bathroom. Bed linen and duvet cover is included. 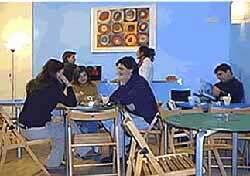 The best value hostel Madrid. Clean, safe, in the center of Madrid with free breakfast. Great location near 3 different Metro stations. A quick walk brings you to Puerta del Sol, Gran Via, El Prado museum and Parque del Retiro. Downstairs bar (with student-friendly prices), and great services like laundry, Internet access, Fax, Telephone and individual lockers. Great place to meet fellow travelers from all over the world. Location: Our hostel is just 5 minutes walk from Gran Via, Puerta del Sol and Chueca. Plenty of buses, 3 uderground stations (Bilbao 100m/San Bernardo 200m/Tribunal 300) and there is also easy connection with trains, buses and airport.